Where would you look to find information on who created the Smurfs? 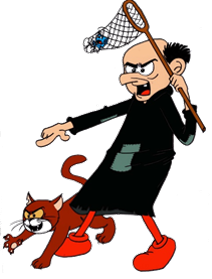 To find the meaning of the word menacing as it is used to describe Gargamel, where would you look? To find a synonym for the word venture, where would you look? Where would you look to find the origin of the word vortex? ​To locate the location of the Smurf village, where would you look? If you enjoy these breakouts, please visit my TpT store for answer keys and to see more products created by me.